Saturday Ziggy and I experienced our first doggie birthday party with homemade dog treats and everything. Later on I went to the San Jose Earthquakes game at Stanford where we watched patriotic skydivers, impressive fireworks and an exciting soccer game. Oh, and the Heimlich Maneuver had to be performed at our picnic. It was terrifying, but it had a happy ending. 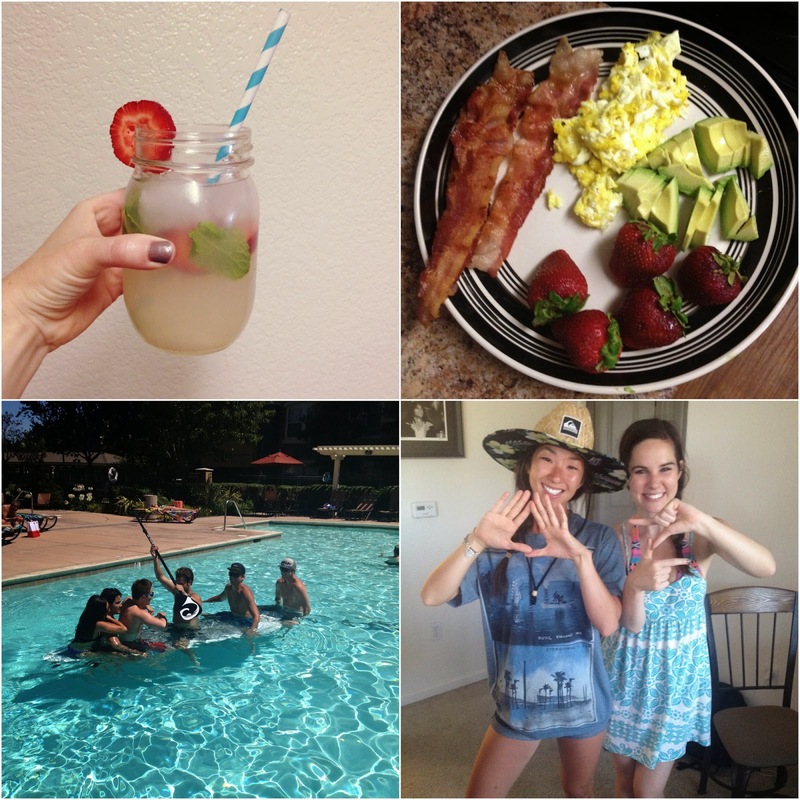 Then Sunday I cooked myself breakfast and went on to pretend I was still in college by paddleboarding in a pool, playing liquor pong and whipping out my sorority gang signs with a sister from a different school. Clearly I'm making the most of the last month I have of my early 20s. It was a pretty fantastic weekend. Omg... haven't seen that DZ hand sign in ages. Fomer DZ here, Alpha Sigma chapter FSU about 100 years ago! Looks like a fun weekend! <3<3 You are the cutest and I think you need to come cook me breakfast! ok your weekend was awesome!! Is that a strawberry basil margarita, by any chance? Someone I know grabbed a recipe off Pinterest for those and I may or may not have wanted to drink the whole pitcher. Looks delish either way! Sounds like a great time... love that photo of the flag!